On July 15t, 2018, the Lamigo Monkeys’ outfielder 王柏融 (Wang Po-Jung) has set the CPBL record for being the fastest player to reach 500 career hits in just 324 games. It was the bottom of the fifth inning, and the Monkeys were down by two runs with runners on the scoring positions. With a quick swing of the bat, Wang drove in the game-tying run and put his name in the CPBL record book. “The record to me is just a process, and I don’t pay too much attention to it. I only focus on my at-bats, whether I hit it well or not,” said Wang Po-Jung. The previous CPBL record for the fastest 500 career hits was set by the Guardians’ 胡金龍 (Hu Chin-Lung). The former Los Angeles Dodgers infielder did that in 342 games, 1498 plate appearances and 1383 at-bats. Last night, Wang Po-Jung had cut that number down even further with 324 games, 1477 plate appearance and 1273 at-bats. 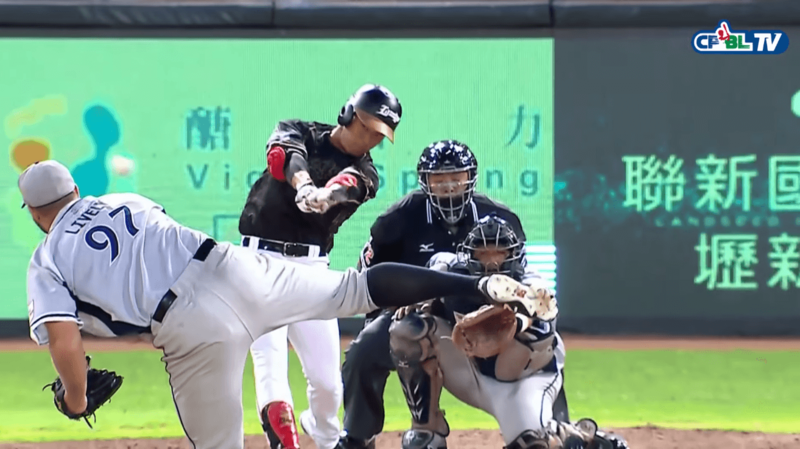 With Wang Po-Jung being eligible for the international free agency after the 2018 season, the CPBL fans might not be able to see Wang breaking the fastest to 600 career hits record. But should Wang decides to stay in Taiwan, then it is safe to say he will re-write the CPBL hitting record book. Stats are contradictory in what way? What do you mean by that? As for comparing, it is really hard to say, because we don’t have enough historical data to project how Wang will be if going overseas. As in the past, Taiwanese amateur players tend to go play in the MLB and NPB system first, then returning to the CPBL. Wang is pretty the “first wave” of young Taiwanese positional players that decided to stay in Taiwan first rather then going to USA or Japan straight out of high school/ university. We can only sort of project Wang by looking at his performance against pitcher from higher level. He did hit well against NPB ace like Tomoyuki Sugano and Takahiro Norimoto in the past, when playing against the Japanese WBC Team. The tweet and chart show different numbers for games and at bats to Wang’s 500th hit. At least when I was comparing Wang here in the CPBL to Thames in the KBO and in the MLB since last season they looked similar along with the fact that Wang would be a corner only player/1B as noted by FanGraphs. I’m a fan of what he could become. Ah good find! Yeah, the chart was wrong, I forgot to update the new record. All fixed now. Me too, if he ends up doing well in USA or Japan, he will pretty much open a new path for other young positional players. For pitcher, Brothers’ RHP Chen Hu is the equivalent in this category. Everyone is watching how both of their career will pan out. Thanks for not chewing me out like FanGraphs commenters would when I would notice such an error. (Very pretentious). I haven’t been this excited about a league since learning about the NPB. All good, that’s the whole point of this blog. To provide some awareness of the professional league in Taiwan. Good to see people are interested. Is Mike Loree hurt? He hasn’t made a start yet in the second half, which certainly seems strange. They skipped him for a week. Loree experienced lower-back tightness. He is expected to return to the rotation next week, as yesterday’s bullpen session went well.